1. Screen the 1953 classic Roman Holiday at the opulent Los Angeles Theatre in DTLA. 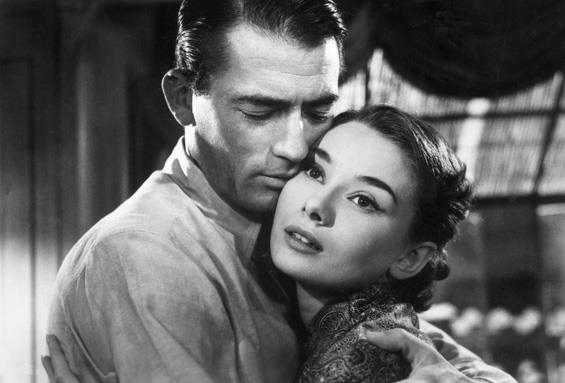 Celebrate the day by watching Audrey Hepburn and Gregory Peck fall in love in Rome at Cinespia’s screening of the 1953 classic Roman Holiday. Complimentary bubbly for everyone plus a full bar, DJs, a dancing in the ballroom, live music and a themed photo booth for you and your date. Dress to impress, Formal/Cocktail Attire – Jacket & Tie Required for Men. 21+ (with valid ID). Enjoy an evening of tango in Union Station’s Historic Ticketing Hall. 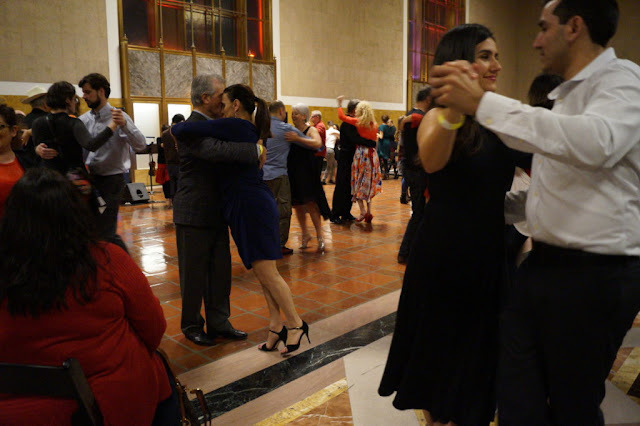 Take a free tango lesson, then dance to a live orchestra Tangótico while watching dance performances by Carlos Barrionuevo and Mayte Valdes. Doors open at 7:30 p.m. with dancing from 8 p.m. to 10:30 p.m. 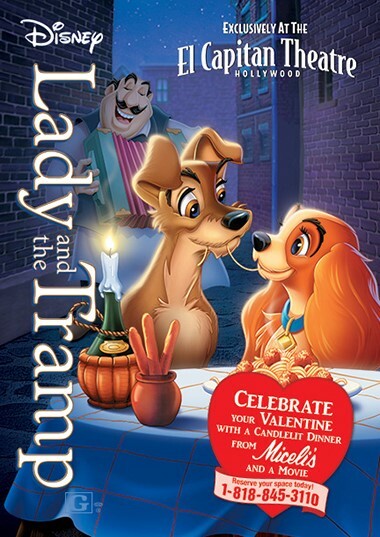 Nothing says "romance" like two canoodling canines eating spaghetti, so why not take in a screening of the classic Disney film Lady and the Tramp at Hollywood’s El Capitan Theatre. Then afterward, head across the street to Miceli's Restaurants, which actually looks like a Disney Italian restaurant for a candlelit dinner. Order the spaghetti and put one end in your mouth and one in your date's mouth and eat until you kiss. All this while the waiters sing your favorite romantic songs. No joke. The waiters actually sing there. 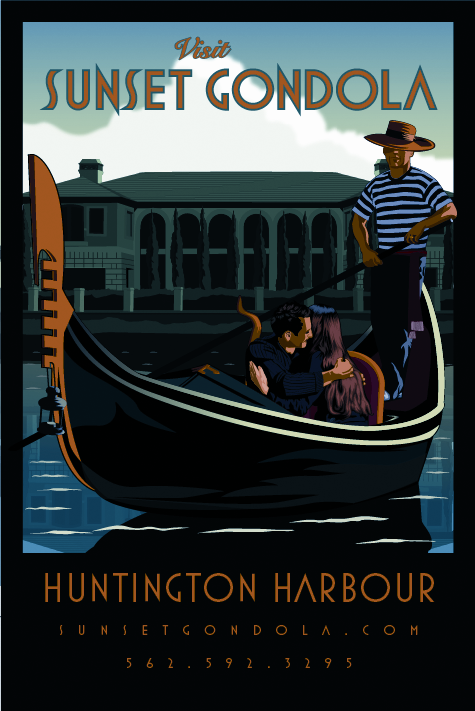 Why schlep to Venice Italy, or Las Vegas...when Sunset Gondolas is right here in our own backyard. 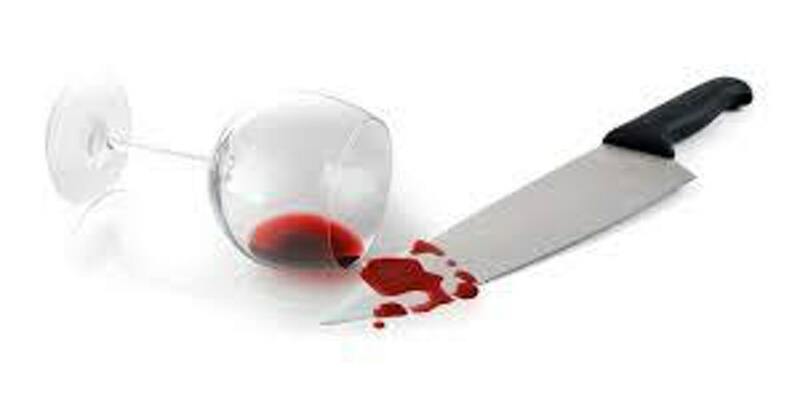 They provide a blanket, wine glasses and an ice bucket—you're allowed to bring your own food and drinks with you. You can add on various packages to make the event even more romantic, like flowers and chocolate-covered fruits...and parking is FREE. 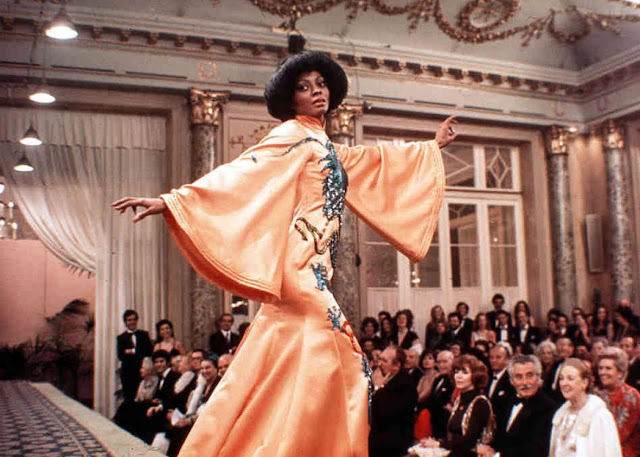 Experience Diana Ross in all her fabulousness playing a Chicago secretary dwelling in the projects, who becomes a famous model as she is pursued by three men: a fashion photographer (creepily portrayed by Anthony Perkins), a community activist (a pre-Star Wars Billy Dee Williams) and a rich Italian count who wants to be her sugar daddy. Afterwards stay for the Q&A with writers Tisa Bryant and Ernest Hardy which follow the screening. Though this event is free, tickets are required and are available, one per person, at the box office an hour before show time on a first-come, first-served basis. Early arrival is recommended. 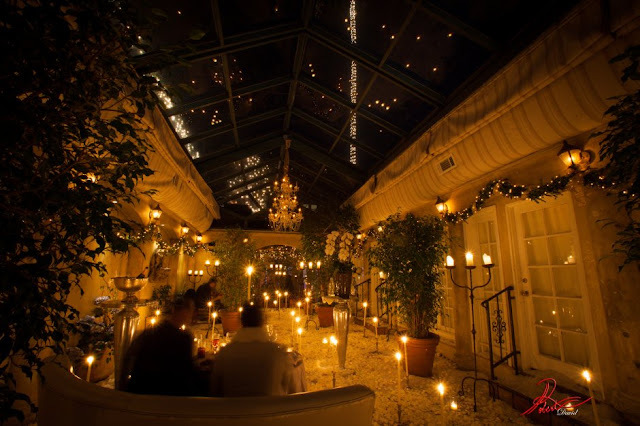 Called the "Most Romantic Restaurant In Los Angeles" this Italian eatery aims to be a "country restaurant in the city," where bubbling fountains and white tablecloths create a darling ambiance to rival a Tuscan trattoria while you dine under a canopy of twinkling lights. If that's not enough..they shoot a lot of Real Housewives Of Beverly Hills there. 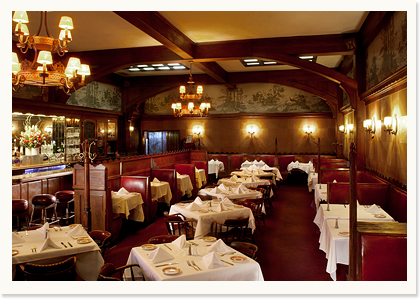 If you’re a fan of classic Hollywood, your best choice for Valentine’s Day might be Musso and Frank. 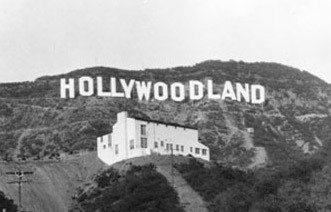 The oldest restaurant in Hollywood, the onetime favorite of stars like Marilyn Monroe and Charlie Chaplin (he used to park his horse outside) is offering a special V-Day menu that includes old-school dishes like vichyssoise, oysters on the half shell, seared foie gras, roasted venison chop and s’mores for dessert. Spending Valentine’s Day with a group of friends? 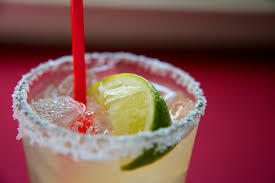 Casa Vega in Sherman Oaks is offering a great deal only on this day: a pitcher of margaritas will be just $1 with the purchase of four entrees. Dating back to 1956, this historic restaurant’s owners know how to make a cocktail. Now...what are you gonna drink? Looking to spend some quality VD time with your BFF? 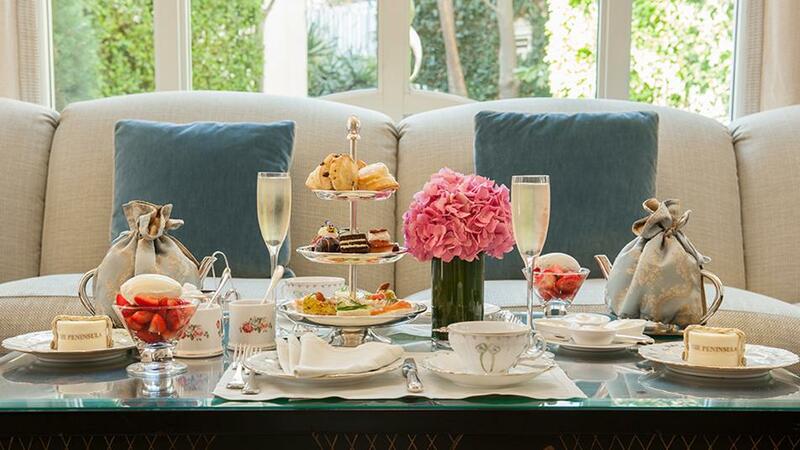 Try afternoon “Tea for Two” in the Living Room of The Peninsula Beverly Hills. This $90 per person, themed afternoon tea includes traditional high tea offerings, from savory finger sandwiches to sweet, bite-sized pastries and scones. Plus you are in a hotel....so ya know...NO JUDGEMENTS!!! There are also a few other romantic options for you at this hotel if ya want to bring a date. GRRRRRR!! !